It sounds like the start of a good joke, but it isn’t. It’s the one line that best describes my insightful realization on a recent family trip to Europe and Africa. 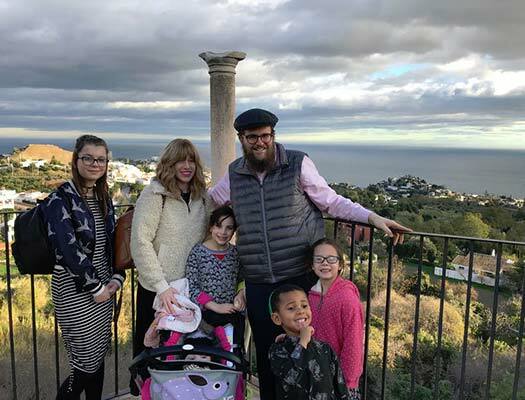 About a year ago, I received a posthumous gift from my maternal grandparents, giving our family of seven the opportunity to travel and see a bit of the world. Yes, I’ve been to many countries before, from Israel to South Africa, Russia to Italy, Norway to Ukraine, but there was something about this journey that really changed me for the better. Perhaps it was shaped by my age (I’m now 36), perhaps by chaotic world events or maybe, just maybe, by my deliberate decision to put aside any preconceived notions and experience these countries and peoples with a sense of curiosity and openness. I was raised on the timeless teaching of the Torah (Bible) in Genesis that G-d created all human beings in “His image” and that truth isn’t dependent on which anthem you sing or flag you carry. 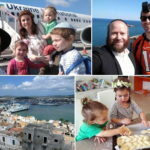 On December 24th, just after our joyous eight days of Chanukah, we departed Bozeman for a ten day visit to Paris, France, Malaga, Spain, Tangier, Morocco and Gibraltar. 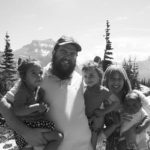 My wife Chavie and I have always enjoyed traveling, but doing it with our five kids (ages 4 months – 13) is no easy task, but well worth it. 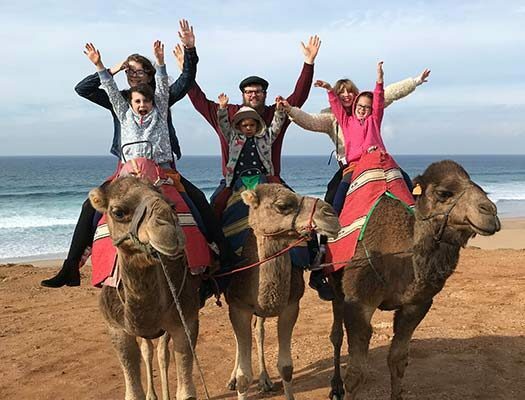 We stood at the Eiffel Tower in Paris, overlooked Puente Nuevo in Ronda, Spain, stood at the top of the monkey swarming Rock of Gibraltar and rode camels in Tangier, Morocco. Our apartment manager in Marbella was a local Spaniard, Julio, who was one of the most polite, helpful and kind people I’ve ever met. When our Air B&B experienced power outages, he went above and beyond to ensure that we were cared for. In Tangier, our guide Mustafa and our driver Mahmud, were delightful. Despite being in a predominantly Muslim country, I felt at home and they made sure of it. We strolled through the market place, bought way too many souvenirs, all while being warmly welcomed. America is a beacon of hope, a bastion of freedom and a place that I am grateful and honored to call home. I unashamedly love these United States, which have been remarkably kind to my people and allows me to be me, without worry, wherever in the union I choose to sojourn. Yet, I believe, we should not isolate ourselves, and, if possible, all kids, like mine, should have the opportunity to experience “other” places and cultures. They should learn how life is elsewhere and what “others” have contributed to society. How many American kids know that coffee was first brewed in Yemen, that the original alarm clock was invented in ancient Greece and that it was Israelis who developed the drip irrigation system? We need to bring our world together. I am not naïve; far from it. I am aware that many citizens of the world, especially of the Muslim faith, are raised with a dislike for Christians and Jews. I know that the political leaders of the countries we visited have consistently raised their voices at the UN against my homeland Israel. Yet, it’s clear to me, that, coerced political decisions aside, the average citizen on the street, is a lover of humanity, and once they interact with “others”, Jews included, they too gain respect for them. Mustafa and I disagreed wholeheartedly about Israel, Jerusalem and what awaits good people in heaven, but there’s way more that we did agree on: Praying a few times each day, fasting as a form of repentance, following a set of dietary laws, believing in only One G-d, Moses being an important figure in our lives, dressing modestly and so much more. 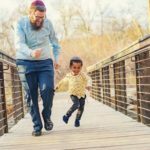 I – along with my Yarmulke wearing son Menny – am identifiably Jewish. 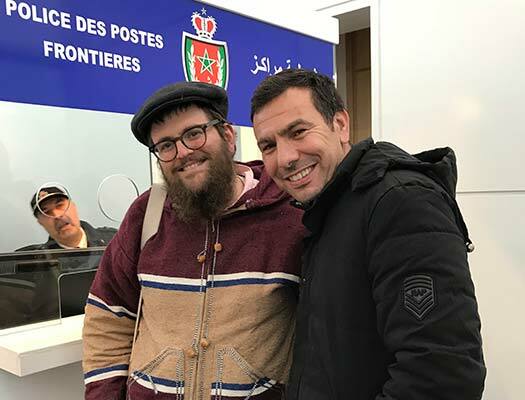 I didn’t change my “song” to accommodate my travels, as I told everybody that seemed even slightly interested that I am a “Yahud”, “Judío” or “Juif”. Yet, I believe that while being authentic to ourselves, we can change the misconceptions, one individual at a time. Often, Jewish leaders think that for the sake of “interfaith dialogue” we must apologize for our religion and assure our counterparts that we agree more with Jesus and Muhammad than with Moses and Maimonides. The opposite it true: “interfaith” or as I like to call it “interhuman”, friendships are meaningful and heartfelt only when we are devoted to our deep-rooted values, and befriend others despite our differences. I don’t have to agree with you to respect you. Julio, the Spanish caretaker who is Catholic, offered that he had once worked with a Kosher caterer and therefore knows a bit about the intricate rules of a Kosher kitchen. The store owner in Tangier’s’ old city enjoyed our Menny referring to his Tarbush as “my Muslim hat”. Shoshana, Chaya and Zeesy loved learning some of the history of the inquisition, expulsion and rebirth of Spain. Chavie and I enjoyed floating by the Louvre while on the Seine river in Paris. Yet, above all, we experienced first-hand that G-d created a big world, with many nations and ways of life and we need to appreciate the positivity they each offer our universe. Do I think that I can single-handedly change societal divisions overnight? No, I don’t. Yet, I do believe that if each of you reading, will give one other person, who is different than you are, the benefit of the doubt, we can slowly change the tide and bring more of humanity together. We breathlessly await the Messianic utopia that will bring about the healing of our fragmented world, but until that time, we can start the process, one Mustafa at a time. Jews who were expelled from Arab countries mostly has good relations with their Arab neighbors. Jews in Chevron in the 1920’s had cordial relationships with their Arab neighbors. If the non-Jews would recognize that Hashem runs the world and gave the Jewish people Eretz Yisroel and that Hashem gave them the seven laws of Noach, that would help bring Moshiach.